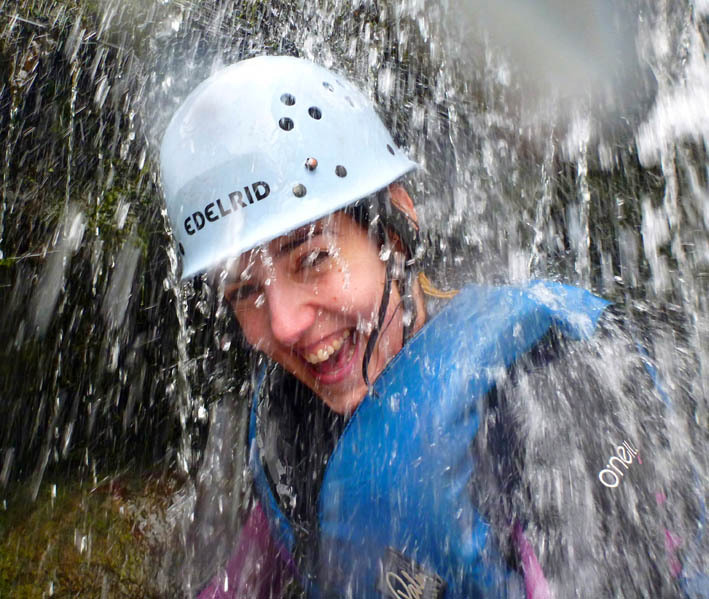 If you don't know what gorge walking is all about, then in a nutshell it is one of the best outdoor activities that you can do. Basically it involves your party scrambling up or down a river or stream. Now this might seem quite tame but it is the type of river that makes the difference. 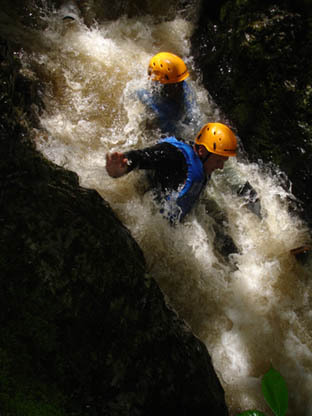 As the name might suggest, all the rivers we operate in run through steep gorges which produces various natural challenges for your team to overcome. 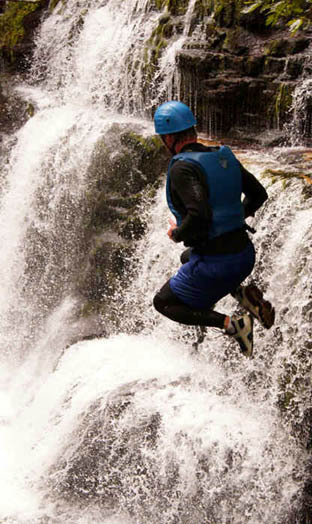 These challenges can range from abseiling down 30 foot waterfalls, climbing up 15 to 20 foot waterfalls, jumping 26 foot into plunge pools and many other fun and thrilling activities along the way. 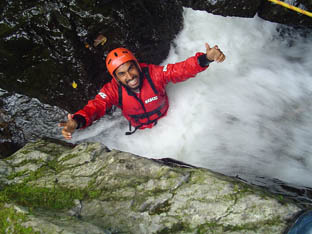 Even though gorge walking in Wales is a hugely exciting outdoor activity we aim to make it as safe as possible. 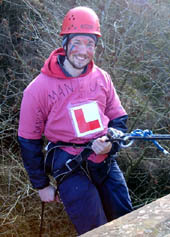 All our instructors are highly experienced climbing instructors as well as experts in gorge walking. 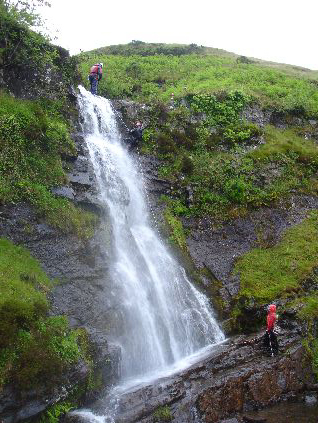 We check out all the rivers that we operate on and we know all the Welsh and Brecon Beacon gorge walks inside out. Our ultimate aim is to give you and your party the most fun, the most excitement and the best adventure that you have ever had. And don't feel intimidated by the photos, we always start gently and teach you all the techniques that you need along the way. 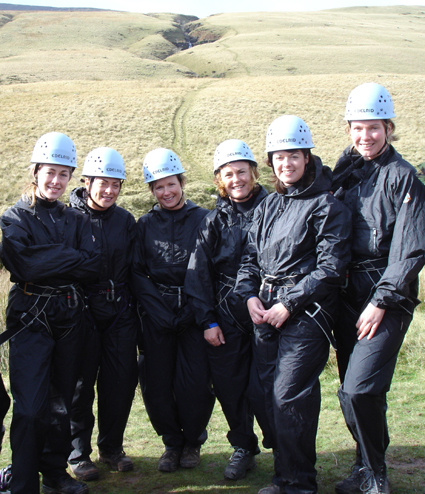 By the time you get to the larger climbs and abseils you will be more than ready for them and if you feel that you don't want to do a certain challenge then there are always other options. 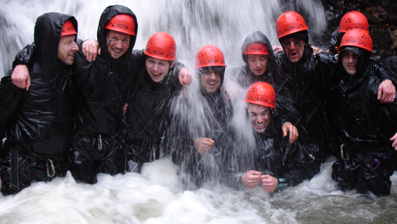 During the gorge walking we will be taking photos and videos of you and your party at all the best spots. We will then send a cd/dvd with all the pictures to your group leader so that you can relive those moments again and again. If you want to bring your own cameras or camcorders we will use them when we can but it will be at your own risk. 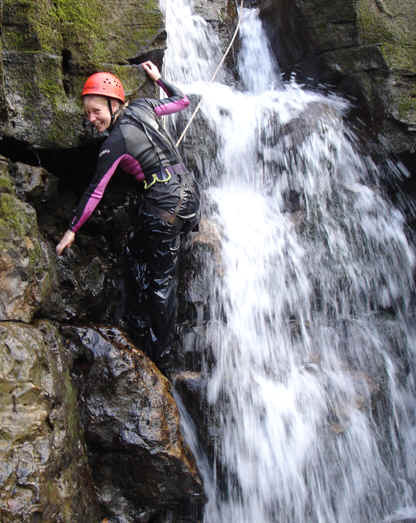 Don't forget, you can go gorge walking at any time of the year as we supply full wet suits and a complete set of waterproof clothing as well as all the necessary safety equipment. 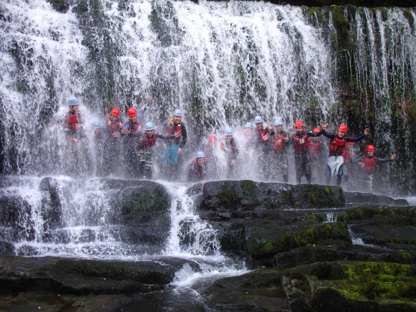 So if you want to experience the best gorge walking that Wales and the Brecon Beacons can offer then contact me for a quote for you and your party. I offer discounts for large groups and can arrange transport and accommodation if you have not already got it organised. Finally we are AALA registered so can run sessions for groups of any age, so if you are a scout troop, a youth group, school or college we can run an exciting safe session just for you. Many thanks. We all had a terrific day - boys are still raving about it. Thanks very much for everything. Michael, Thanks for such a great day for my brothers stag weekend in Wales. 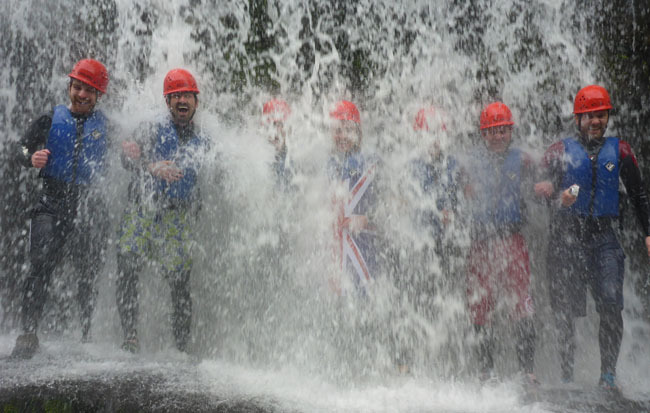 The gorge walking was everything I had hoped for, and I thought you and Matt were both great guides and great sports towards our whole group. All the boys were buzzing about it for the rest of the day. 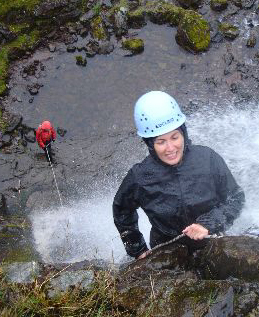 I may well be in touch about a coasteering day or another gorge walking day (perhaps the one with abseiling). Also, thanks for capturing some great photos, and accommodating our varying group size. Stag weekends are difficult to organise, and I appreciated the flexibility in group size that you accounted for. 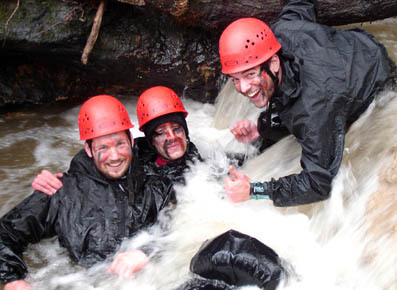 I'll be sure to recommend gorge walking and yourself to others.